Humans travel for various reasons: work, pleasure, exploration, escape. The photographing of these adventures seems obligatory, but at times pointless. Why create another photograph in a world saturated with them? The camera seems to be the perfect tool with which to capture the world, a “device that makes real what one is experiencing.” And yet the photograph is faulty in its depiction of reality, transforming experience into a subject frozen in time. How, then, might one authentically represent the world using the photographic medium? Is it possible? I contemplate these questions, and yet I continue to make photographs. My main photographic tool when I travel is the Holga, a plastic camera which was developed for the Chinese working class in the early 1980s. Far less complex than an iPhone camera and yet less reliable, the Holga grants its operator an ease of use that is not often found in the technically complex medium of photography. It does not have any kind of built-in light meter reading, and has two shutter speeds - “N” or “B”. Its four focus settings - “one person,” “three people,” “seven people,” and “mountain” - are imprecise to say the least, and the lens creates a slightly different image to that which is seen through the viewfinder. 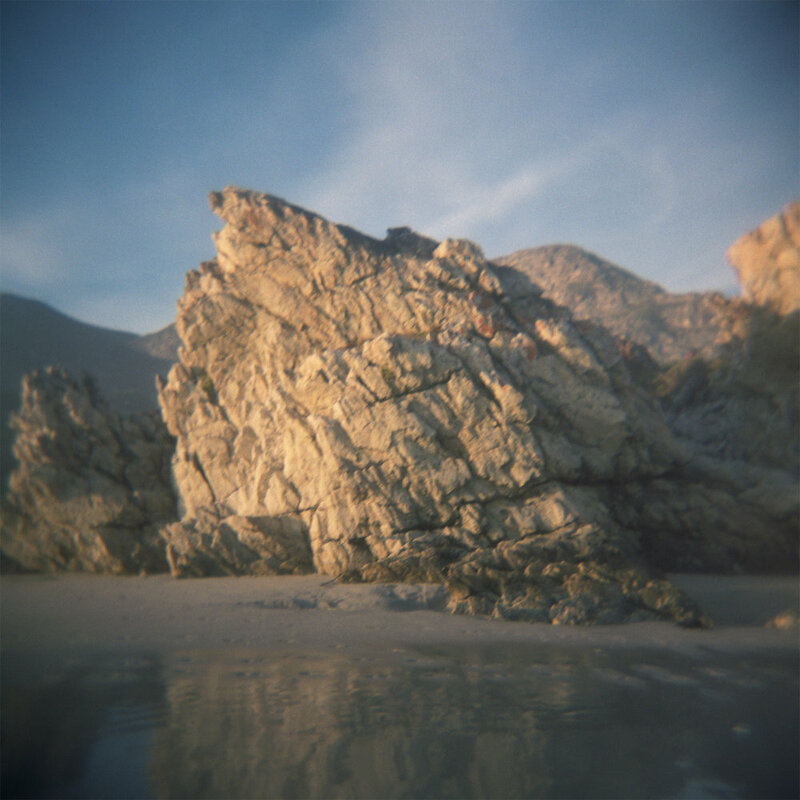 While the Holga’s simplicity might be limiting to some, it allows me a kind of release from the perfectionism and obsession that accompany my work in other photographic media. Because my images are created using traditional analogue photographic processes, they are often only seen for the first time weeks, months, even years after they are captured. Thus, the photograph is inextricably linked with geographic and emotional circumstances, a tangible representation of memory. 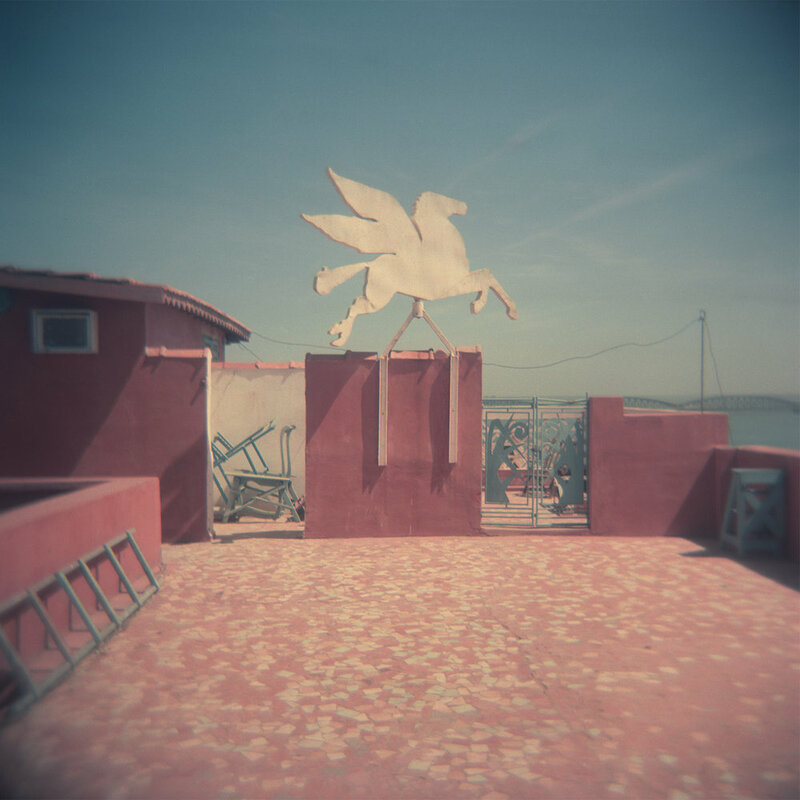 Indeed, the images that emerge from the Holga often look like photographic representations of memories or dreams. 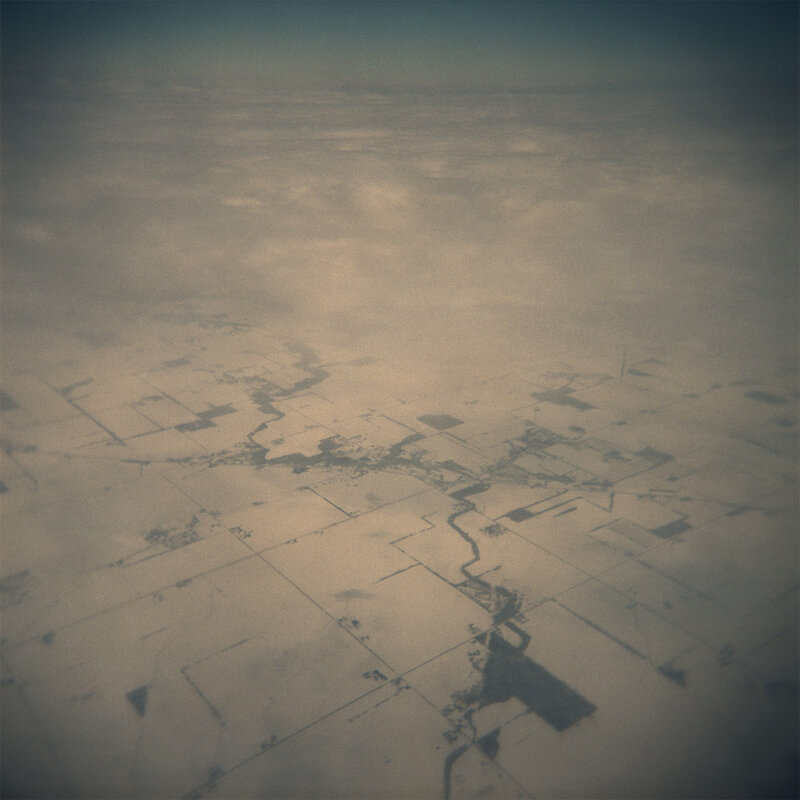 The Holga, in its simplicity and its use of the analogue process, allows me a kind of meditation upon the creation of the image, a heartbeat of reverence for both the scene being photographed and the moment in which I am existing and photographing. 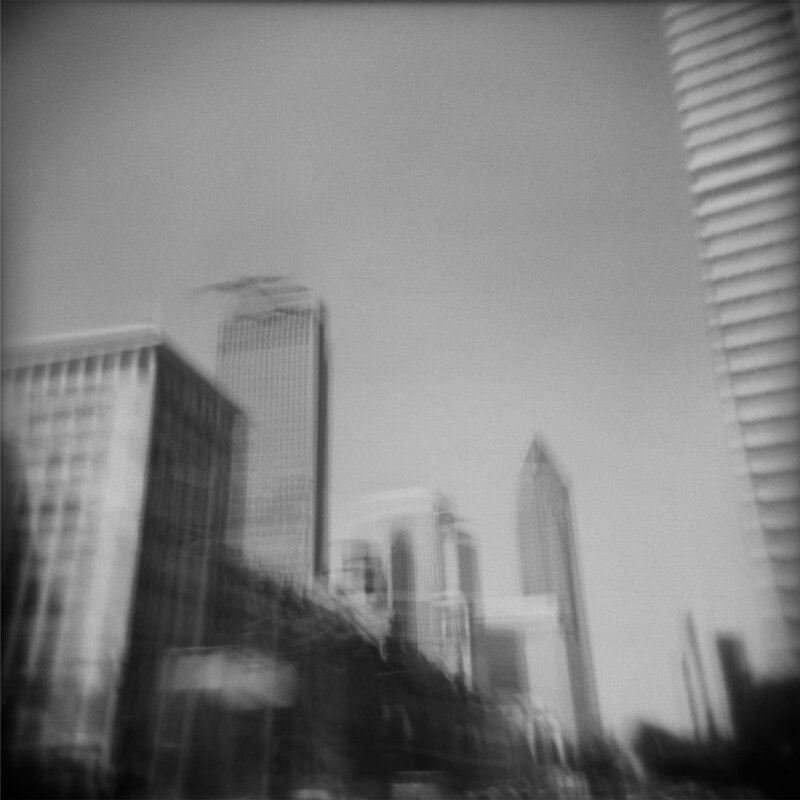 In this way, images that come from my Holga orient my memories rather than replace them; they are waymarkers on my travels. René Magritte, the master Surrealist painter, said, “we see [the world] as being outside ourselves, even though it is only a mental representation of what we experience on the inside.” Here, the travel photograph begins to represent more than just a single photographic moment: I create a complex, layered and at times strange depiction of reality, one that comes closer to reflecting memories of my experience, even perhaps revealing my psyche. This ongoing body of work has been the subject of two exhibitions: LATITUDE, a solo exhibition in 2012, and HOLGA: Selected Impressions, a two-person exhibition with Jamie Kronick in 2017.